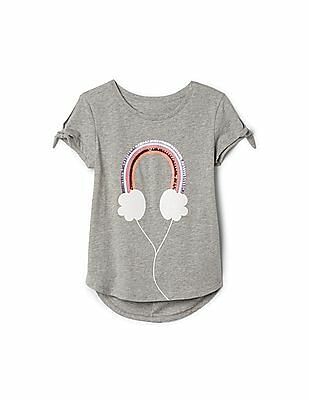 Tales & Stories Girl's Cotton T-sh.. If you thought only adults are fashion-conscious, well, think again. These days, even young kids are eager to flaunt the best of outfits. 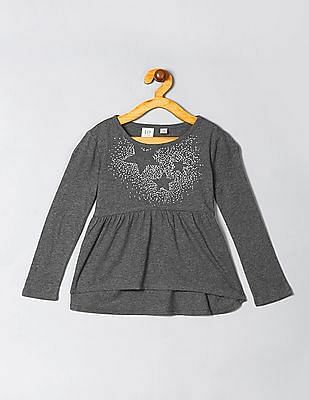 Online shopping will spoil you with ample choice when it comes to buying tops for young girls. The best part is, you can often make the most of girls clothes sale, when the prices drop pretty low. 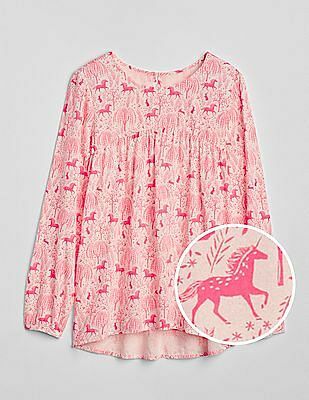 You must grab this chance to take a look at the prettiest girls' tops and dresses from the comfort of home, and get the benefit of both quality as well as quantity. Girls love to stock up on trendy and cute tops that will look good with denims, skirts, and shorts. 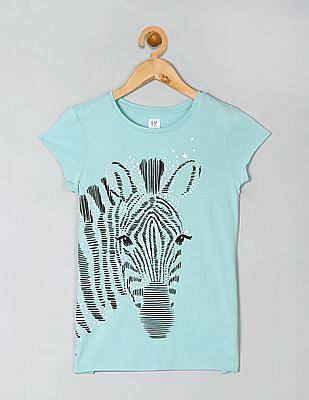 They are also quite particular about which girls' top design goes best for a specific occasion. Girls are immensely fond of coloured denims, shorts, capris, skirts, and other bottom wear. 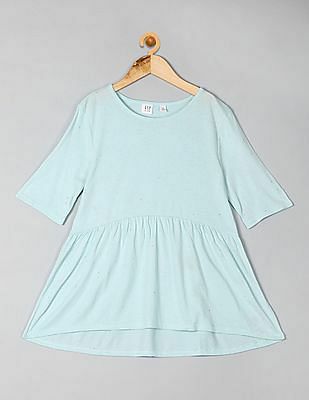 No wonder they have a keen eye for girls' tops online that will best complement these. Be it for an everyday look or a special day, no girl will ever deny the need to have a good collection of tops in their closet. 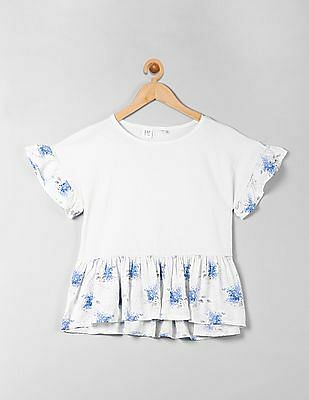 The online retailers promise an exhaustive collection of girls dresses and tops to go with various occasions, including a day outing, a family picnic, a school function, or even a simple stroll into the park. Bright colours are always the top picks, and even the designs and patterns can be chosen according to the preferences of your little angel. 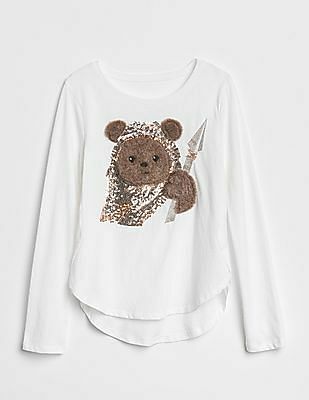 They are quite well-updated about what's in vogue these days, and often like to settle for contemporary varieties such as embroidered yoke tops, floral prints, girls' graphic tees, multi-coloured tops, and so on. While some like strappy girls' tops, others may opt for an elastic neckline. What's more, if you avail Jabong cashback offers, you are sure to grab some exciting deals! A sleeveless racer back top is the perfect pick for a hot summer day, whereas if you are looking for something unique, you will surely be impressed by a knitted kaftan style top or a tunic pattern which are unique and fashionable. Girls who like cartoons and dolls can pick a Barbie themed top or a Disney princess themed top. 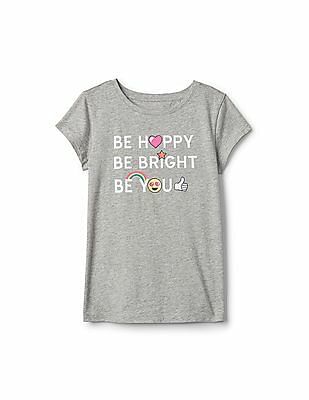 You can also add a dash of bling to your little one's wardrobe by buying some sequined girls' tees. There are also a host of other options, ranging from striped tops, slogan tops, to graphic tops, etc. The neckline, material, and sleeve length can are widely different from each other, so you can choose accordingly. Young girls have a weakness for vibrant colours and eye-catching silhouettes. 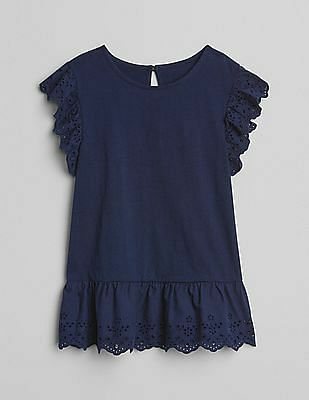 The fabric and fit should also be taken into account when buying girls party dresses and tops. 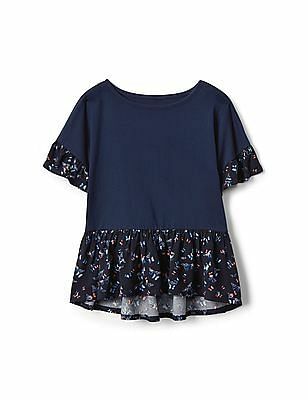 Besides choosing a fabric and fit that will flatter her body, you should also pay due attention to the cut and designs so as to suit her age and innocence. 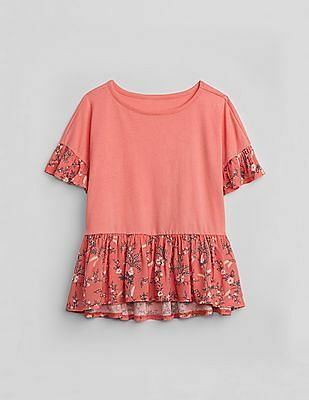 Most of the topmost e-commerce sites boast of an assortment of funky girls' tops in soothing hues that will make her stand apart for her tuitions, classes, play hours, etc. These sites also allow you to use filters to broaden your search and find exactly what you want. Further, if you go for girls' tops online shopping through CashKaro, the shopping will turn out to be even more rewarding, thanks to the extra Cashback you earn! You can also look for womens tops for yourself or to gift someone. There are abundant options that will let you step out in style!